Apple is actively developing a product that would compete with the Amazon Echo and Google Home, reports The Information. Citing a source with direct knowledge of Apple's plans, the report suggests Apple is working on a Siri-based device that would include a speaker and microphone that could be used for features like listening to music, getting news headlines, and more. Opening Siri up to third-party developers will go a long way towards expanding the capabilities of Apple's virtual assistant. Right now, Siri only works with a handful of apps like OpenTable and Yelp, and Apple has been hesitant to develop a Siri API and improve Siri's functionality because of privacy concerns. According to The Information, a Siri SDK could be introduced as soon as WWDC, meaning third-party Siri access would be built into iOS 10 and perhaps OS X 10.12, which is also rumored to be gaining Siri support. Both Amazon and Google have developed robust in-home personal assistant devices built around their respective AI platforms, which Apple hopes to compete with. The products are able to perform a wide range of features, from giving weather reports and answering queries to controlling smart home devices like light bulbs and thermostats. The Amazon Echo has been well-received, and Google's Home product, just announced at Google I/O, supports similar features. Apple has reportedly been working on an Echo competitor since before the Echo debuted last year, and it will perhaps include features like a speaker, Internet access, and the ability to control HomeKit products. It is not known when Apple will be ready to debut its home accessory or how it will fit into the company's existing product lineup. apple has become a "ME TOO" company. They are so boring lately. You know what else has become boring? I can unambiguously say Apple is the ONLY manufacturer of such a product that I would trust to listen to everything going on in my home 24/7. The others are simply not trustworthy. Because they were first to which product or market exactly? Don't tell me they are going to do it better, their QA has gone down the *******s, their ever tightening dumbing down of features and the interface is infuriating and they are neglecting many of their former values time and time again. What's mostly still intact is their industrial design. The rest has taken major hits. I really wish Apple made the Apple TV a centralized hub for HomeKit. There's no reason why I can't control my Hue lights among other enabled devices via my 4th Gen Apple TV. 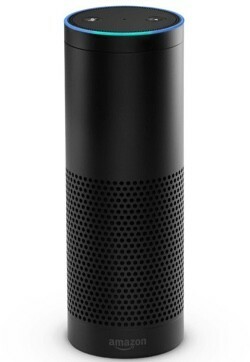 The article said Apple's been working on it since before the Echo was even released. As usual, Apple takes the time to get the product right and then releases it. When I tried an Echo, I was unimpressed. I hope to be impressed by another Apple product. Ugh, I hate to be so negative. But yep, it's a little too late. Not to mention, Siri is just so tainted to me. It fails at everything from playing music to simple queries to understanding me when I'm speaking perfectly fine. I just wish the Echo wasn't on constant backorder. And users have become "ME TOO" posters. Hey, if I throw a bit of generic Apple hate wherever possible, I'll get lots of lovely likes. For goodness' sake, look at when you joined this forum. I've got food in the freezer older than that. I'm beginning to question if people are paid shills, trolls, or actually join this forum for a positive purpose. We're all entitled to be dissatisfied from time to time, but this is taking the proverbial. I'll be happy to see them open up Siri with an SDK but these in home listening speaker devices are stupid.